Warframe, as many free to play games, has its way of winning money for the company. This time we will be talking about Platinum, the currency we can buy with real money. You can buy Platinum in many different packages and as you can get almost anything in Warframe, you can also get Platinum without spending a single penny. I’m going to talk briefly about the ways of earning this currency so you can spend it anyway you’d like to. This is the main way to get Platinum, of course, with real money. 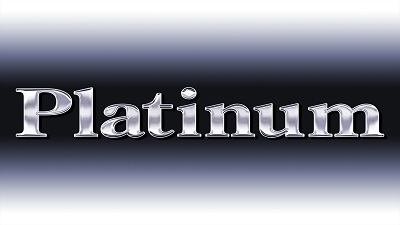 It is thanks to people that buy Platinum that you can try the methods below. However, there is a twist! In the daily login system, there is a change to obtain Platinum Discount Vouchers, which give you up to a 75% discount on your next Platinum purchase. It’s extremely useful to higher the value of your purchase, or even if you’re a little short on money since the lowest it can get is $1.25 for 75 Platinum. If you’re the type of player that spends zero real money on video games, this is your top choice here to get Platinum. Warframe is a land of farming, many things to gather are just there waiting for you and your Tenno. Nevertheless, it’s no surprise that there are players who don’t want to spend time gathering. Or maybe there are some limited items that can only be obtained during certain times. Players that want these items without spending time and effort are offered with trades. They use the Platinum they bought before to buy the in-game items they want, and sometimes it’s even cheaper to buy with Platinum than purchasing stuff from the market. Also, nice players can opt to buy things with Platinum just to help others get that sweet currency. These are the main trading items exchanged for Platinum. Prime parts can be obtained from Void Relics, which contain up to 6 different parts of blueprints. Some Void Relics are really easy to obtain but the rarer parts can be a pain to get since you need the specific relic and enough luck to get the desired part. Some Relics are vaulted, which means they can’t be obtained anymore, adding more rarity to the relic. Players who want to obtain the vaulted parts, –or simply don’t want to spend all that time farming– usually trade their Platinum for these. If you really want some Platinum, prepare yourself to spend some time gathering. Additionally, if you’re one of the fre who still have vaulted relics, or vaulted parts, you can probably make a good profit out of them since there are some items that can be traded for as much as 600 Platinum –which is a lot… Like… A LOT–. Mods are another great source of Platinum income. Although not as lucrative as prime parts in most cases, these are a good option since it’s easier to farm them. The priciest mods to sell are usually Primed Mods, which are normal mod variants that have a higher stat cap. These mods are pretty rare, they can only be gotten from Baro Ki’Teer, a trader that appears every two weeks and bring a randomized collection of mods, weapons and cosmetics, and certain milestones in the login system. These mods can go up to 400 Platinum if they are completely maxed. So you can buy the mod, max it and then sell it. Other easier to get mods (and cheaper) are the Corrupted mods, which are obtained from Void Key Vaults, secret areas locked behind an item called Void Key. The corrupted mods give some pretty nice status in exchange of lowering other similar status. The last mods I’m going to mention are the Riven Mods, randomized mods that offer pretty ridiculous stats for specific weapons. Some can be pretty useless, but others can help a weapon become completely overpower. Needless to say, the OP ones can fetch quite a sum, but the safest bet (for you) is to sell a Veiled Riven Mod, a mod that still hasn’t have its stats revealed, which usually goes for 40 Platinum. It doesn’t seem like much, but since it’s not that hard to get Riven Mods, it’s worth it. You can still take the risk and unveil the mod if you want, there is a chance for you to hit a gold vein right there! Finally, the last way to get Platinum is the lottery. Yes, you read right: Digital Extremes do regular streams where they talk about some things related to upcoming content, design decisions, and many topics about Warframe. The lottery comes from the prizes they give during the stream. They usually make three draws of 1000 Platinum and any of the people watching the stream has a shot at winning. Aside from the three Platinum prizes, they also make one final draw for a Prime Access Pack, which is basically a subscription type of package which gives you Platinum in addition to a lot of other featured items. If you want to skip ALL those things and save time, you can also trade with players outside of the game: it could be cheaper thank you think and it’s definitely safe and easy to use. As it’s better to use a secure platform to trade from player to player. From my experience, I recommend PlayerAuctions because the website has been online as one of the best and safer trading platforms for over 18 years and it has secured over 3 million transactions among players! Warframe is a wonderful free to play game because it’s actually FREE to play. You don’t have many limitations to enjoy the gameplay and your time being a Tenno, and you can even obtain the paid currency without spending a cent. The money is just there for you to pick it, or should I say, for you to farm it? The ways I talked about before are simple and easy to do, they just require a bit of time and effort. But even if you farm items to sell them, consider throwing a couple of bucks into the game so the developers can continue giving us the fantastic and free experience that is Warframe.